Seizing food without evidence of contamination also violates the Fourth Amendment. Let’s agree that numbers can be massaged to prove just about anything. However, when opponents of raw milk make outrageous claims about its dangers, and when millions of state and federal dollars are spent eliminating it as a food choice thru armed raids – and yet their own statistics belie the stated risk – we ought to shout that from the rooftop. Not only are Lactococcus deadly to pathogenic bacteria, but they are vital to making certain cheeses and other fermented products. And, they have to be added back in when starting with pasteurized milk. It’s a wonder the human species survived 200,000 years before the food police came along! We know for certain that humans have been drinking unpasteurized animal milk for at least ten thousand years. Human population certainly hasn’t decreased since then. 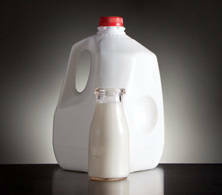 The enzymes and “friendly” bacteria destroyed by pasteurization boost our immunity. We know this based on the scientifically accepted “competitive exclusion” principle – the more friendly bacteria you have, the fewer pathogenic ones that survive. Friendly bacteria compose part of our immune system, and competitive exclusion is what the entire probiotics food industry is based on. Yet, in a single case of contaminated pasteurized milk, over 16,000 people became ill in Illinois and several other Midwest states. Later, up to 5 of them died. That 1985 calamity was called the “worst outbreak of Salmonella food poisoning in U.S. history.”  It even beats last year’s half-billion egg recall with just over1,900 confirmed cases of salmonella poisoning. Rady Ananda specializes in Natural Resources and administers the sites, Food Freedom and COTO Report. To obtain a full copy of this report, including Notes and Sources Used, click here.